Mui Ne in Phan Thiet is not just famous for marvelous beaches with turquoise water and azure sky near luxury resorts, but also an enormous sand area stretching to Ninh Thuan. The nature here bestows a wonderful scenery in these Mui Ne sand dunes. If you are wondering for an amazing destination to reach this year, you should not ignore this place! 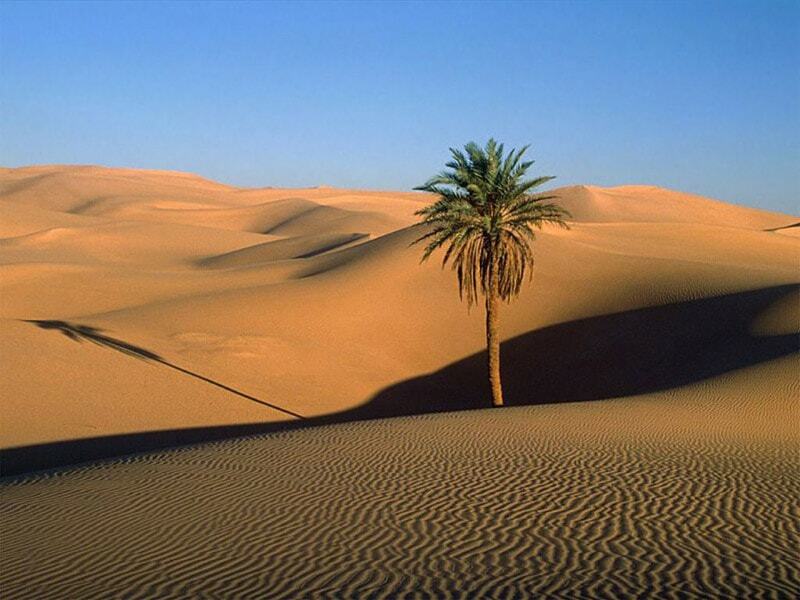 Those Sahara-like deserts are divided into two types: Red Sand Dunes and White Sand Dunes. There are various tour for travelers to join in; however, you can trek alone if you would like to have your own experience. The White Sand Dunes, being 26km northeast of Mui Ne Beach and the second-to-none place in Vietnam, are formed by ancient iron mines existing for hundreds of years. Iridescent sand spreads like wild deserts with different shapes owing to wind blowing. In addition, the intrusion of sand creates many interesting scenes in these sand dunes. It seems to be endless when strolling on the sand dunes. The special things of White Lake are described through not just two lakes of freshwater, but also a small pool of water amid the white sand hills. Here, you will have a chance to see various species such as fish, insects, birds, weeds, and white lotus, etc. Moreover, you can meet some typical species of plant such as carnivorous plants living in the sand (red trees). 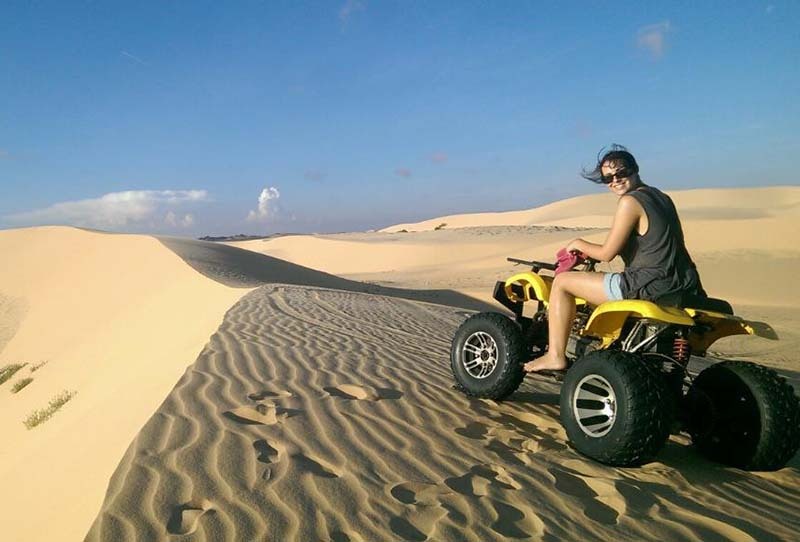 One of the most exciting touring activities in Mui Ne is riding Jeep to conquer these sand hills. This is one of should-not-miss sports games when popping in White Sand Dunes. The feeling of riding on Jeeps seemingly brings a sense of conquering and enjoyability. Many races are held by tourists as small contests to relax and entertain. The most wonderful feeling is that you can ride alone along sand hills, contemplate the scene and take some photos. These wonderful “roads” will make you more cheerful or inferior to the Nature. We would recommend you visit this site in the early morning or late afternoon to view the best scene there. One thing you should always remember is to bring along lots of water as you will really need it for the trip under the hot and amid weather. In case you want to experience the enjoyable and fun time full of activities, The Red Sand Dunes will be a perfect choice for sure. Being exactly like its name, Red Sand Dunes features reddish-brown sand that makes them a more popular place for photography. 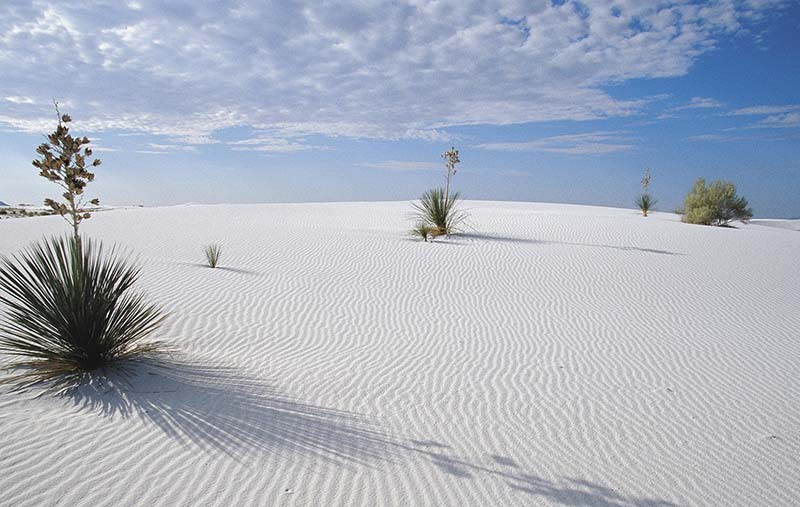 Smaller than White Dunes, they are easier to reach. Sand-sledding is a common (and fun) activity here, but it is hard to nail down where the best location to do so is as the sands shift from season to season so it’s best to look around. Dry sand is much more enjoyable to sled on. Located 17km northeast of Mui Ne Beach, it fascinates tourists by its convenient resorts, and beautiful beach view. 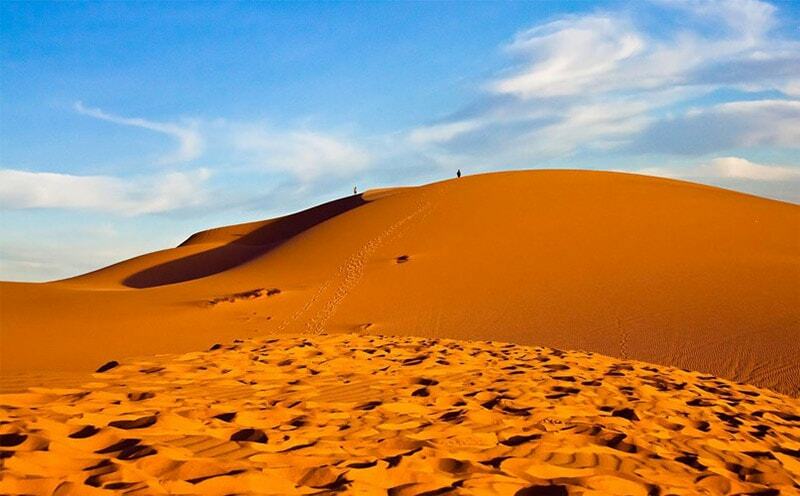 Hiking in these red sand dunes will make you imagine about enormous deserts in the Middle East or Africa. Somewhere around this area, there are children enjoying such entertainment as sand sliding, while photographers are trying to record splendid moments of the nature. Experiencing in Red Sand Dunes is one of unforgettable memories in Mui Ne. From these sand dunes, an amazing scene will appear in front of your eyes. Flurries will throw the top layer of sand and creates various and unique shapes. By dint of this, Red Sand Dunes becomes more beautiful. 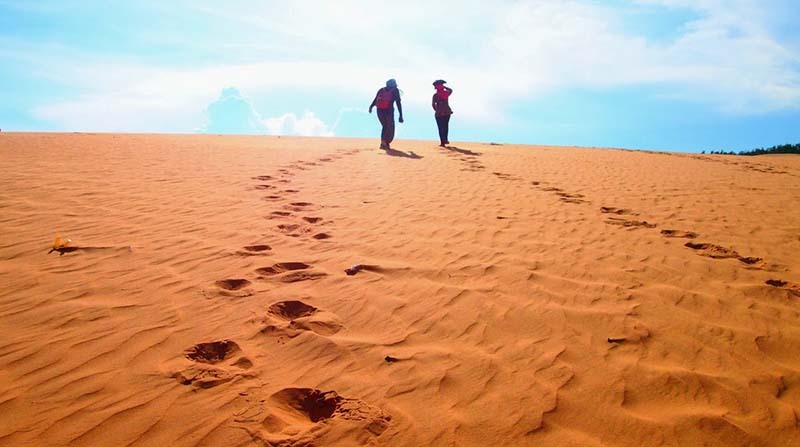 Coming to Red Sand Dunes, tourists have a chance to admire this “natural wonder” which changes day by day and hour by hour in the harmony with beautiful sunlight. Red Sand Dunes in Mui Ne are so special because the color of sand changes constantly from yellow to white, pink and red, depending on the sunlight. What’s more, taking part in exciting games is one of should-not-miss things to do in Mui Ne. What can be more interesting than climbing to the top of hill, and then sitting on a thin plank to freely slide down to the hill’s foot? This will bring tourists a feeling as if they were flying. The higher sand hills are, the more amazing you feel! 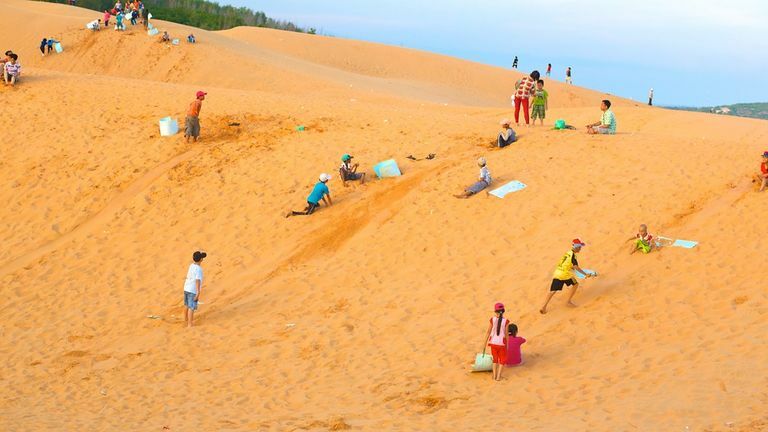 You can book a tour to visit the Mui Ne sand dunes and the fairy stream. Mui Ne, with a combination of the crystal clear and glamorous beaches together with those amazing, enormous and gorgeous sand dunes, has been becoming one of the top list destination that everyone must visit once in a life. Coming to Mui Ne but not visiting those sand dunes, you would be definitely regretful as if you have never reached here. So just carry on your backpack and find yourself in this beautiful and exciting Mui Ne!